How the private sector can play a pivotal role in improving access to food for families in rural areas. After decades of progress in the fight against hunger, global malnutrition and chronic hunger are on the rise again. World Food Day is an important reminder to redouble our efforts toward Zero Hunger – Sustainable Development Goal (SDG) 2, which aims to end all forms of hunger and malnutrition by 2030. But for one in nine people suffering from chronic hunger around the world, a reminder isn’t necessary; every day is a struggle for nutritous food. As the SDGs recognize, problems of this size require multifaceted solutions that bring together partners from different sectors. With about 80 percent of the world’s extreme poor living in rural areas and relying primarily on agriculture for their livelihoods, it is important to examine every link in the food value chain and crowd in investment where it’s most effective. Local agribusinesses occupy a critical position in that chain, as both buyers of raw products from poor smallholder farmers and suppliers of food to poor rural consumers. With the right blend of development finance and technical assistance, these agribusinesses hold the potential to yield positive results for both investors and low-income famillies, increasing profits along with economic and physical access to food. Hunger is familiar to many farmers like Stella Njovu, who lives in the Copperbelt region of Zambia, a country that ranks fifth in severity on the Global Hunger Index. Together with her husband Kenneth, Stella farms 4 hectares of land near Mpongwe and struggles to support their eight children. For several years, she grew maize and groundnuts, but lacked a reliable market for these crops. A new initiative implemented by TechnoServe and two agribusinesses in the region introduced Stella to a new and more profitable crop: soy. For Stella Njovu, a reliable market for her crops can make the difference between putting food on her family's table or seeing her kids go hungry. Stella received training on soy cultivation along with a loan to buy enough seed for 1 hectare from NWK, an agribusiness focused on cotton and soy. NWK had a ready market for the soy from Goldenlay, a Zambian egg producer and distributor. TechnoServe had developed a scheme linking farmers to the Goldenlay market through NWK with support from the Technical Assistance Facility (TAF), an initiative providing business support to the portfolio companies of the African Agriculture Fund (AAF). When paired with investment, technical assistance – in the form of consulting expertise on core business operations or new sourcing or sales models – is a powerful tool to achieve inclusive business growth. As the implementer of TAF between 2011 and 2018, TechnoServe’s role was to work with companies in the AAF portfolio, including Goldenlay, to pilot projects that had the potential to positively impact smallholder farmers at scale. AAF is a private equity fund that sought to address food security challenges in Africa by investing $246 million in agriculture and food processing. One successful project led by TAF allowed Goldenlay to increase its sales tenfold through a simple distribution innovation. In order for production to keep pace with sales, Goldenlay and TAF looked at the company’s input supply and determined that it had to increase the volume of soy through an outgrower model – a mutually beneficial system of direct relationships between an agribusiness and smallholder farmers. Goldenlay benefited from an efficient and steady supply of soy that leveraged NWK’s extension and distribution networks; NWK benefited from an expansion into a new area in the Copperbelt; and farmers like Stella are benefiting from a profitable new crop with a reliable market, as well as access to training, inputs, and finance to ensure continued productivity. In her first season, Stella successfully harvested enough soy to pay off her loan and make a $500 profit – ample motivation to diversify into soy long term. 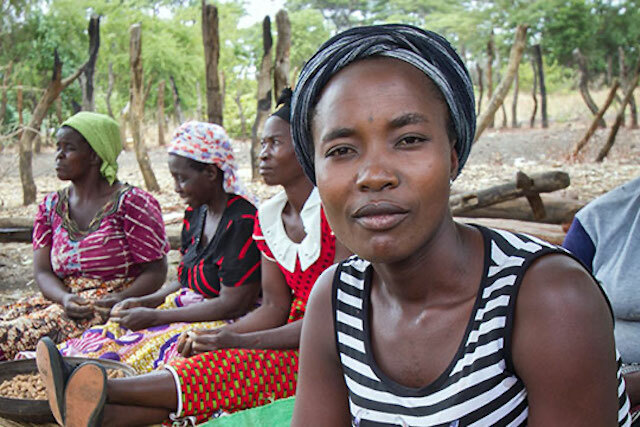 A higher income means Stella can purchase more nutritious food for her family. This is a key pillar of TAF’s approach to enhancing food security. Increased rural incomes from farming, micro-entrepreneurrship, and jobs increase household purchasing power, which in turn increases economic access to food. 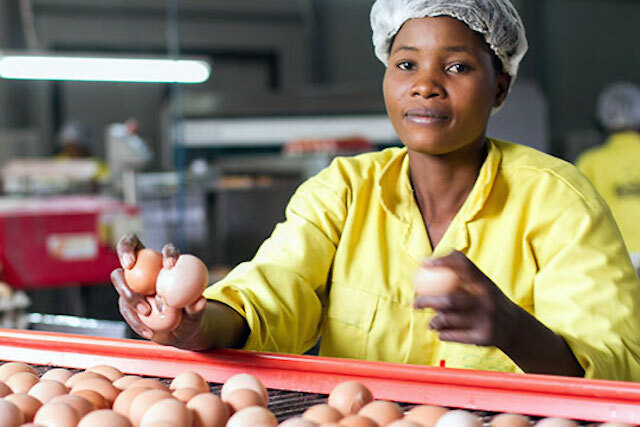 With TAF's support, Goldenlay improved its "last mile" distribution system, increased egg production, and began sourcing more soy from smallholder farmers like Stella. The other dimension of TAF’s approach to food security is to increase physical access to food. The lack of physical access to affordable and good quality food is a major concern in Africa. Poor infrastructure, especially transportation networks and storage, constrain the distribution of nutritious foods, forcing many countries to rely on imports for a large proportion of their food requirements. TAF projects worked to increase supply, enhance access, and lower the price of basic foods that are critically important to lower income families. Goldenlay, for example, was able to revamp its distribution model to allow high-protein eggs to reach more consumers in remote rural areas through bicycle peddlers and micro-retailers. Overall, TAF implemented inclusive technical assistance projects for 12 agribusinesses in nine African countries that integrated more than 26,000 farmers in their supply chains. These interventions increased smallholders’ net incomes by more than $1.3 million, while the companies in AAF’s portfolio produced more than 2.6 million metric tons of food and food-related products. Building on the success and lessons of the first TAF, TechnoServe is working with Phatisa, AAF's private equity fund manager, to raise a Technical Assistance Facility for their second fund. The partnership has demonstrated that investment in the agribusiness sector, particularly when paired with effective technical assistance, is less risky than many investors think. But the returns on enhancing food security are enormous. Ending child undernutrition could increase a developing country's GDP by as much as 16.5 percent. 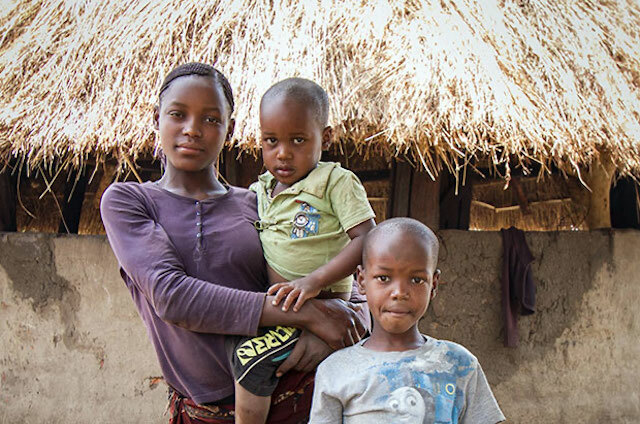 And for farmers like Stella, the health and well-being of their children is priceless.